Application: There is paperwork involved to take SSPC CAS exam. For an application, contact Chris Hooter at IUPAT DC 17, 780.484.8645 x102 -or- chrishooter@dc17.ca; you can’t officially enroll until the paperwork is in. 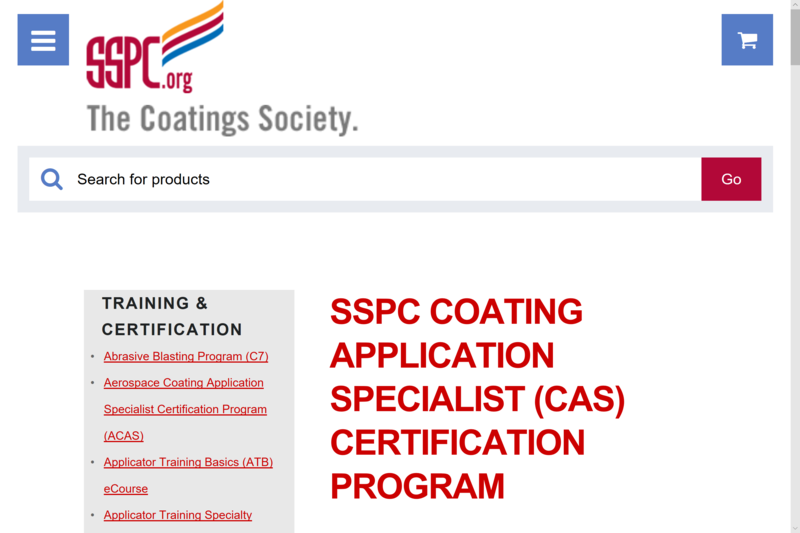 Description: The SSPC Coating Applicator Specialist Exam (aka, CAS) is a written and practical (blast & spray) exam for an SSPC certification designating the minimum knowledge and skillset requirements for an Industrial Coating Applicator as described in the Joint Standard SSPC ACS 1 / NACE No. 13 Industrial Coating and Lining Application Specialist Qualification and Certification. Per a big push by IUPAT Canada and signatory contractors, CAS certification is being requested more and more industrial site owners.